What effect are you desiring to create through lighting? 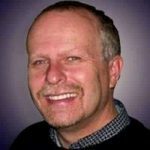 I have experience from the performer’s viewpoint, and I must stress that no lighting should be so intense that the worship team leader, speaker, dancer, actor or artist is blinded by it. This can be extremely disorienting for them and can certainly distract them from their ministry to the congregation. Every person that I interviewed about the best choices of lighting for churches told me the same thing: The industry standard is now LED lighting and it is timeless. Old school lighting systems were bulky and expensive and in need of constant updating as the trends changed. 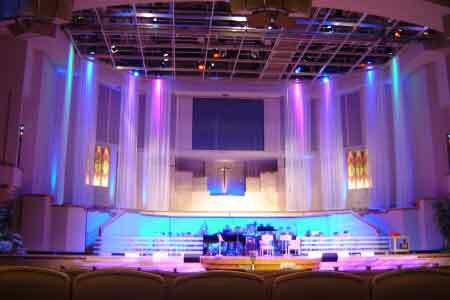 However, with a versatile LED lighting system your church won’t be influenced by transient lighting trends. A LED system is by far less expensive than one using traditional fixtures. The lights are cool running and will save money on electricity year after year. A LED system is available for all sizes and budgets. Modest lighting setup can be built for well under $1,000. Modern fixtures, sound-activated programs, and app-based controls will enable volunteers to get involved in lighting design even without prior experience. You won’t need electrical designers and technicians to get your system up and running…yet another saving! Floodlights are broad-beamed, high-intensity artificial lights that are diffused so as to give a comparatively uniform illumination over a rather large given area. Floodlights are very similar to wash lights as both perform basically the same function, that being to fill the stage with uniform lighting and color all over. Some of the information for floodlights will be the same as for wash lights. 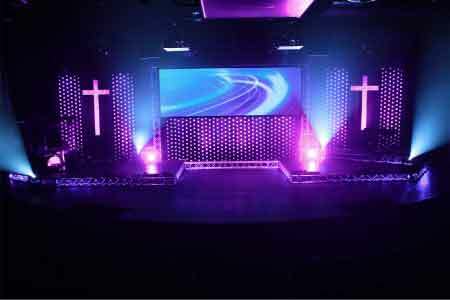 They provide an atmosphere for your church stage and they set the mood there. You want that warm, loving atmosphere that helps worshippers forget their outside world issues. Generally, floodlights will be placed on the floor downstage of performers, whereas wash lights are usually placed at various intervals on the stage or they are mounted or hung. 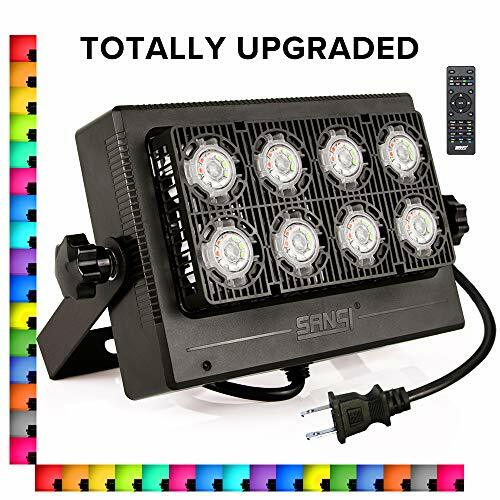 In my research, I found that the Sansi 50W RGB LED Floodlight is probably the best overall floodlights. LIGHT WEIGHT: this RGB floodlight is made of ceramic and high quality PC, not electric conductive aluminum, fragile glass or heavy steel. 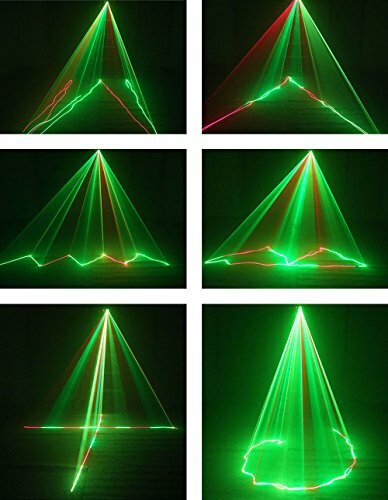 8 LIGHT SOURCES: 120 degree beam angle, light up larger area. SUPER BRIGHT & ENERGY SAVING: reach high lumen with low wattage, up to 110lm/W. 3000lm. Dimmable in 3 levels, you can control the brightness and energy consumption. 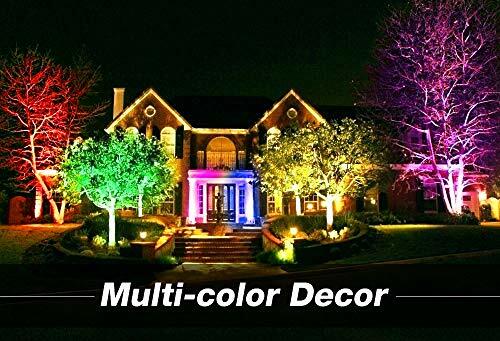 16 colors satisfy all your needs for decorative party, stage, landscape and security lighting. MEMORY FUNCTION: these RGB LED flood lights remain color and mode you set last time, no need to reset if power on again. REMOTE CONTROL: remote range 20~30ft. One remote can control several lights. 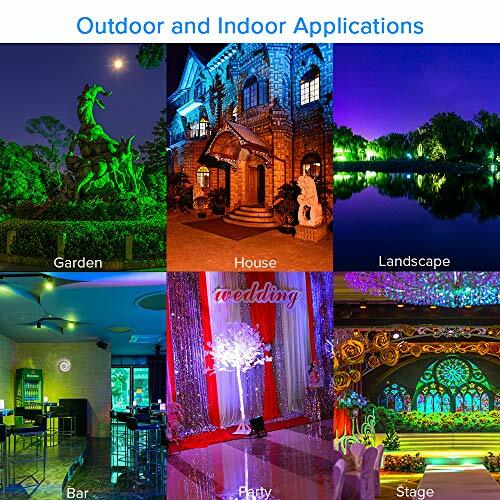 COLOR CHANGING MODES: life is colorful, decorate your house with SANSI RGB lights. 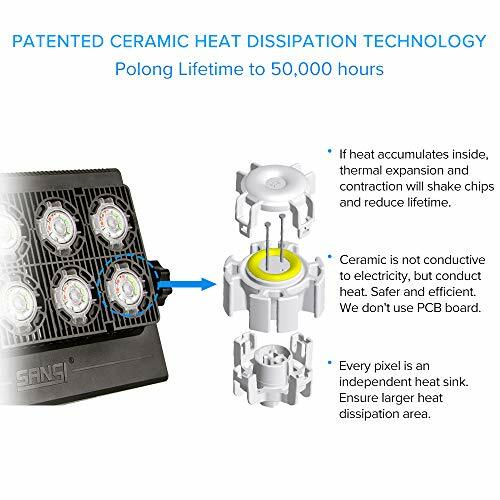 LONG LIFETIME: thanks to the fact that ceramic is not conductive to electricity but conduct heat, ceramic heat sink is the best choice for sake of safety and efficiency compared to aluminum. 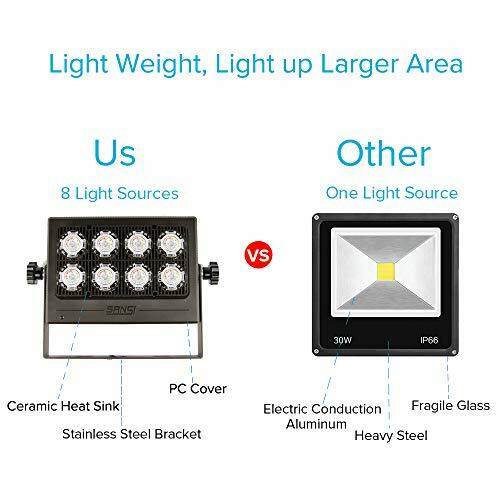 Every RGB floodlight has 8 light sources (ceramic heat sink) to enlarge dissipation area, this patented technology prolongs lifetime effectively. 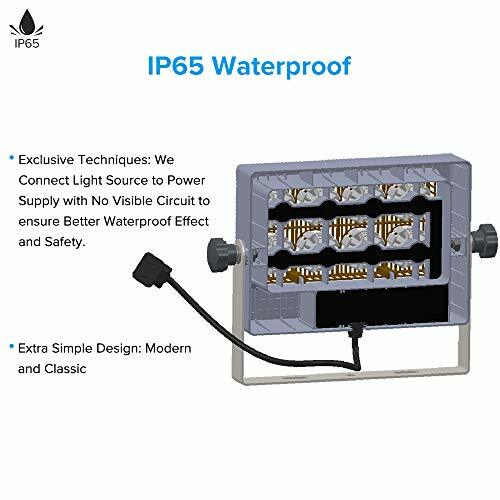 IP65 WATERPROOF: in order to provide better waterproof effect, SANSI invents exclusive techniques, there is no circuit exposed outside, much safer to use in rainy and snowy days. 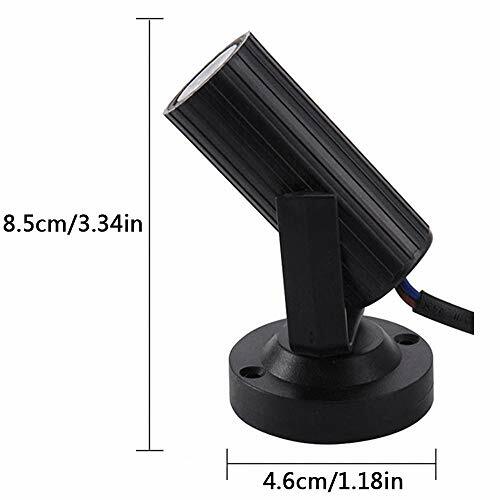 Equipped with US plug, black and white wires, 59in cord, stainless steel bracket and expansion bolts, SANSI RGB floodlights are suitable for outdoor light fixtures. CUSTOMER SERVICE: 5-year warranty, you are covered for replacement or refund should there be any quality issues. Any questions, please contact us directly, we will respond in 24 hrs. It comes with remote control. When you set to 16 steady colors, you can adjust brightness. It is a dimmable flood light. 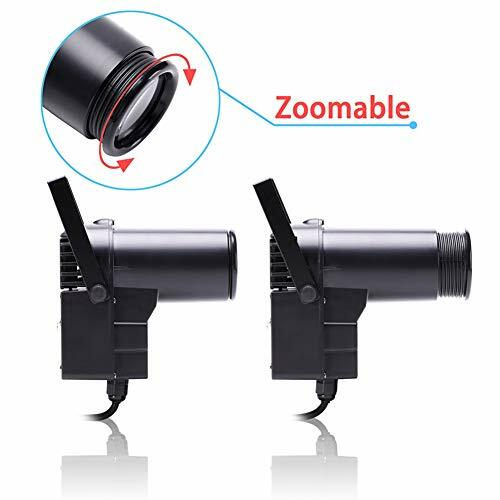 When you set at 8 modes: strobe, flash, smooth, fade, M1-M4 (red, green, blue, yellow, flash) you can adjust the speed from 1 second to 3 seconds per color. It is energy saving and long lasting. 50W LED Flood Light outputs up to 5500 lumens 110lm/W, consumes much less energy, saving 85% on your electric bill. Patented ceramic heat dissipation technology (CHDT) and unique hollow out structure ensures better dissipation efficiency and prolongs its lifetime to 50,000 hours. It is waterproof and durable. The IP65 waterproof is resistant to rain and snow. Corrosion and rust are prevented by a 360-degree adjustable bracket that is made of stainless steel. It may be mounted on a wall, ceiling, and pedestal. The heat sink is made of ceramic, not conducive to electricity, safe and reliable. The voltage is wide working: 90-264 V.
It has wide applications: 120-degree beam angle, designed to illuminate large areas. It is great for your outdoor services. The company offers excellent service. Their 5-year warranty and friendly customer service mean that you are covered with replacement or refund if any quality issues should arise. You want that warm, loving atmosphere that helps worshippers forget their outside world issues. Generally, floodlights will be placed on the floor downstage of performers, whereas wash lights are usually placed at various intervals on the stage or they are mounted. You want the absolute best quality to ensure the best worship experience/atmosphere for your congregants. 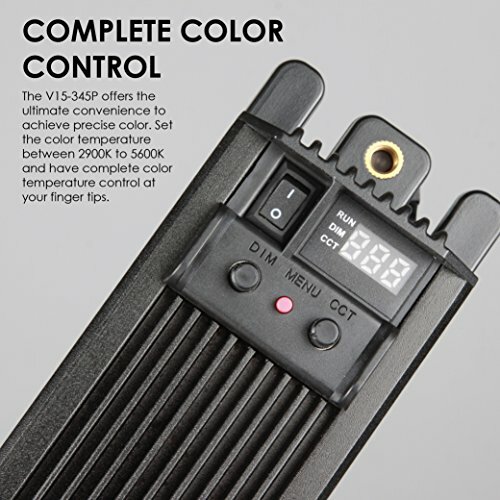 16 COLORS & 4 MODES: Multi colors and modes available. 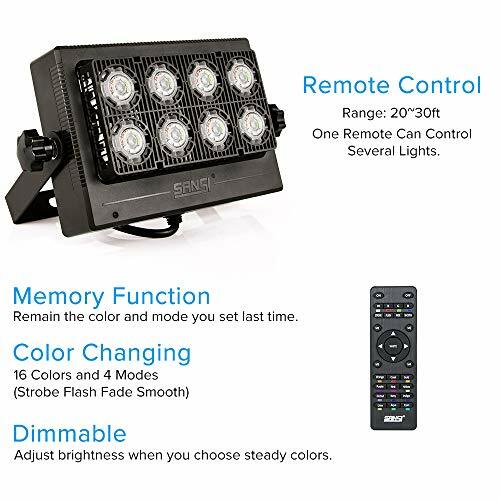 Point the remote at the flood lights, turn on the lights, pick up your favorite color, brightness, mode (flash/strobe/fade/smooth) for children's birthday, Christmas celebration, Halloween or wedding party. 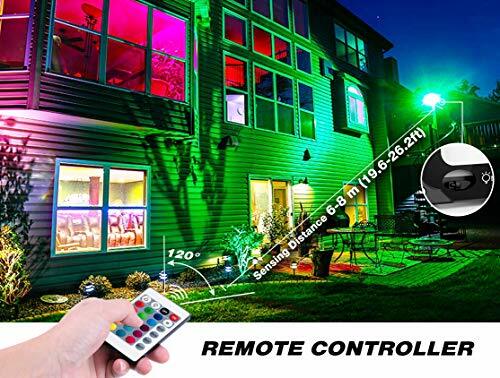 REMOTE CONTROL & MEMORY FUNCTION: With 24 keys IR Remote Control to vitalize the RGB floodlights(Sensing distance: 19.6-26.2ft/ 6-8m). And the light will stay at your last setting you choose while turn on again via remote control, no need to reset it. 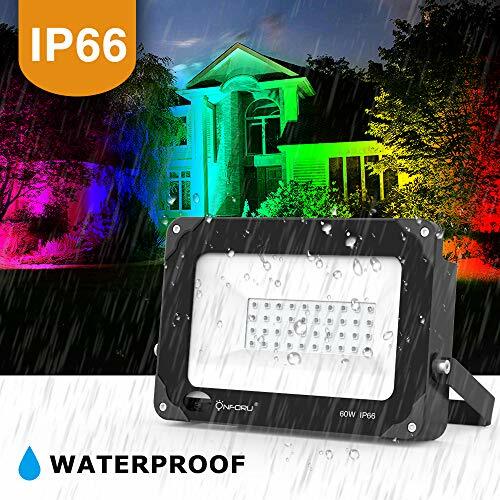 IP66 WATERPROOF：IP66 dust proof and waterproof, it works perfectly in rain, sleet and snow. Can be versatily applied, Ideal for using at garden, patio, wedding, party, park, stage, landscape, building, yard, street. 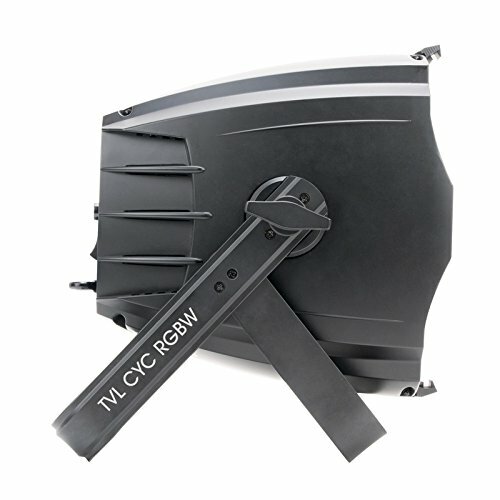 EFFICIENT COOLING & EASY TO INSTALL : Die-cast aluminum housing and efficient cooling design makes it more durable and reliable. No need for wiring, simply plug it in! 180°adjustable lamp body, can be installed on the ceiling, wall, ground, etc. UNLIMITED 5-YEAR WARRANTY: You are assured of 30 Days Money Back Guarantee, 5 years warranty, and 24hour message technical support, which makes your purchase risk free. Any issue arises, you can contact us freely. 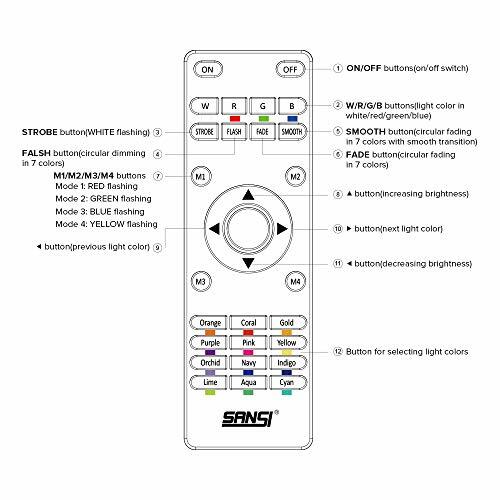 Six Colors and four modes are available so that you can pick up your favorite color, brightness, and mode (flash, strobe, fade, smooth) simply by pointing the remote at the floodlights. Pretty easy! The lights will stay in your last setting so that when you turn them on again there is no need to reset them. IP66 Waterproof (and dustproof), the lights work perfectly in the rain, or sleet or snow. So, take your church outside and enjoy God’s creation while worshipping. It has efficient cooling because of aluminum housing and cooling design. It is easy to install as it needs no special wiring. Just plug it into the wall. The adjustable lamp body can be installed on the ceiling, wall or ground. Your purchase is risk-free as it comes with a 30-day money back guarantee, 5 years warranty and 24-hour message technical support. 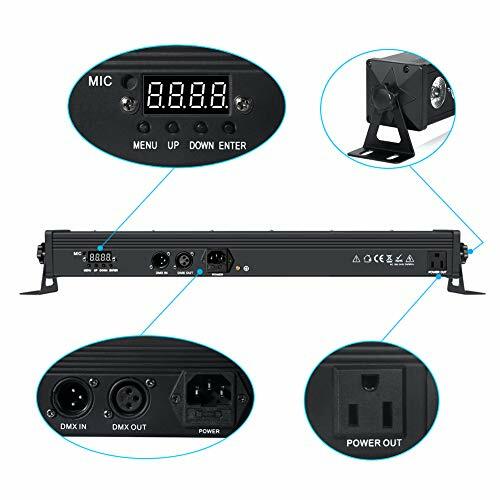 2 Control Modes: Magic effect can be easily controlled by remote control(included) or professional DMX controller(not included). 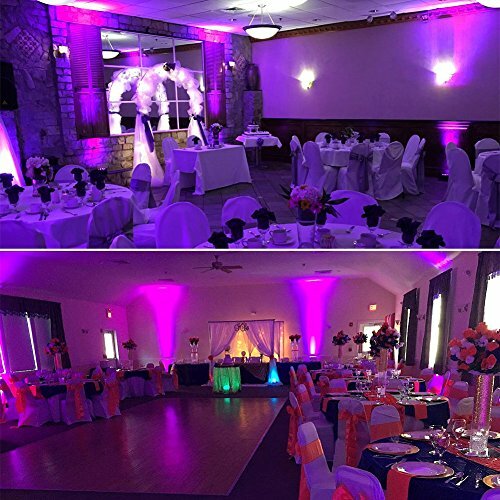 7 Light Effect Options: Static Color / Color changing / Color fade / Auto Program / Sound activated / Master-Slave / DMX. Speed is adjustable. Features: With mounting bracket, led par lights can be mounted on flood, stand, truss or anywhere you want. 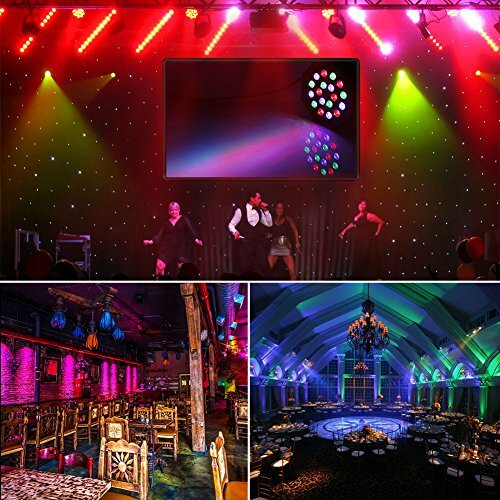 Application: Great uplighting for party dj stage wedding halloween christmas club disco bar pub church etc. 36W LED par lights have 36 pcs LEDs. A single unit has 6 red lights, 6 green lights, and 6 blue lights. 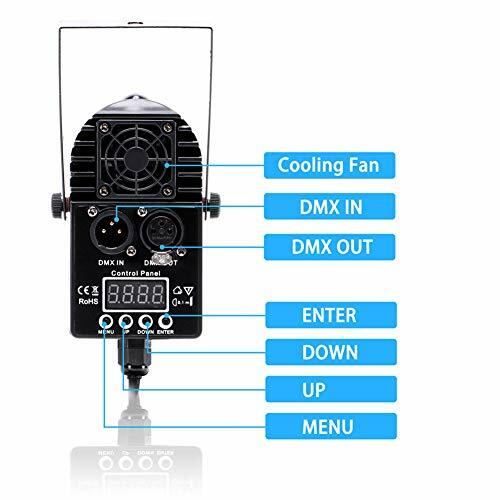 It has 2 control modes: by remote (included) or professional DMX controller (not included). 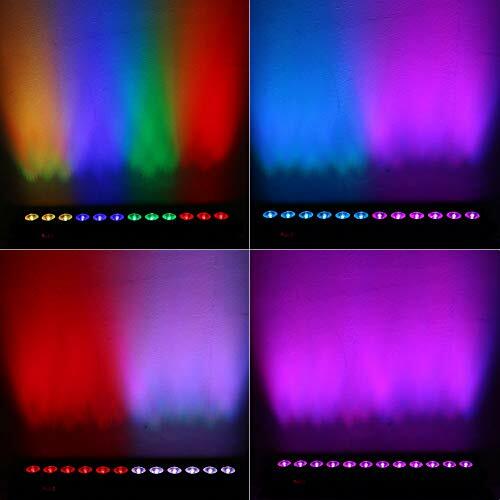 There are 7 light effect options: static color, color changing, color fade, audio program, sound activated, master-slave, DMX. The unit comes with a mounting bracket which can be mounted on the floor, stand, truss or anywhere you like best. They provide great up lighting for your stage. They remember the last setting when turned off and then on again. They can be set to change colors at different intervals, or they can stay one color. They are dimmable in the event that a softer light is desired. They are light and easy to install. The light that they emit is bright and strong. Floodlights are the best place to start and can create a worshipful atmosphere. A minister that I spoke with tells me that lighting is all for the congregation, not the people on stage. You want the atmosphere of your church to be a help to their worship experience, not a hindrance. In most cases, less is more. Too much wild lighting creates a concert performance atmosphere that focuses on the people not on God. A little lighting goes a long way! Spotlights are lamps that project a narrow, intense beam of light directly on to a place or person, especially a performer on stage. They bring attention or drama where it is needed, especially when a single performer among many needs to be showcased. Spotlights make a point…literally and in context with whatever/whoever is being highlighted. They focus attention specifically where it is needed in order to make a point or single out someone/something on the stage. The best one for your church just might be the DJ Spot Follow Stage Light by Seven Stars. It is sound activated, master-slave, auto running. 100W COB LED Par Light: 100 W high brightness Auto Light Bar can be freely controlled by sound,so your applause also can creates a colorful world,and can be widely used in stage show,concert,theater and ect. 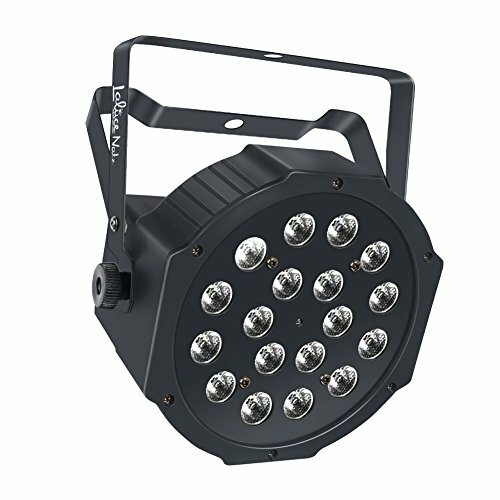 Guaranteed- 8 months warranty and 30-day money-back guarantee for any reasons.Seven Stars has outstanding customer service teams and professional engineer technology-support teams to accompany and help you during the installation and using progress of our stage lights. 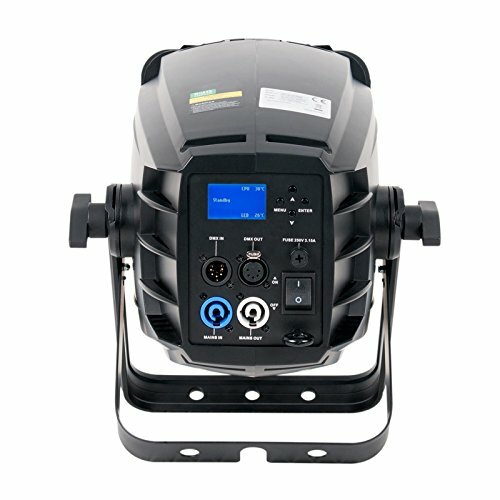 It has four control modes: auto, sound activated, master-slave, high power 2/4 channel 3/7 channel DMX512. It is small with an exquisite appearance design for LED par lights. Easy installation – comes with dual mounting brackets and screws to hang on or install on a wall or put on the ground. 100W COB LED Par light gives 100 W high brightness. The auto light bar can be freely controlled by sound so that applause may create a colorful all over effect. It can be widely used in a stage show, concert, drama, and any ministry that your church may wish to have. It makes your presentation multi-faceted and visually very appealing. 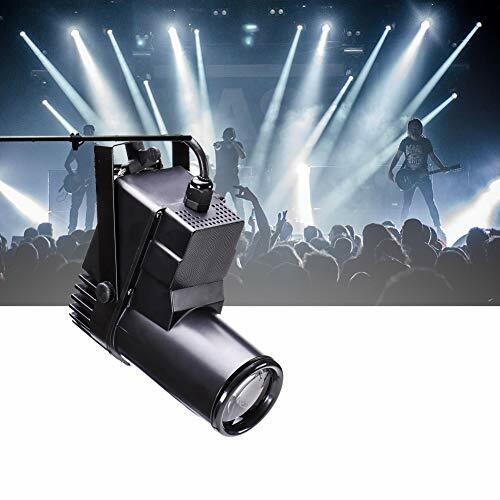 Extremely long life: the light source of this stage lighting has a lifespan of up to 10,000 hours achieved under normal operational conditions. Guaranteed – It comes with an 8 months warranty and 30-day money back guarantee. Outstanding customer service teams and engineer technology support teams are available to accompany and help during the installation and using process. Portable – its small size means you can take it with you for venues outside your church. 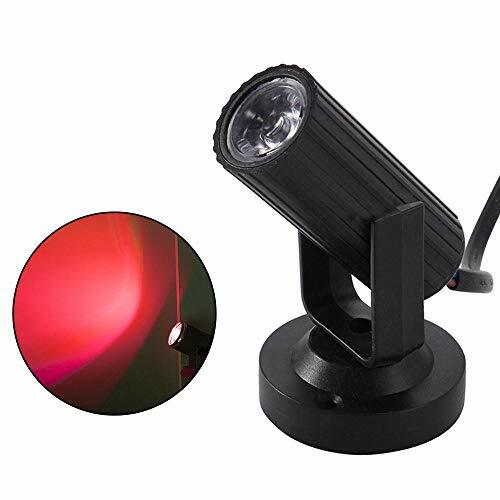 THE U`King Pinspot Light is an excellent spotlight. It is inexpensive and it provides much light for a small asking price. The price on Amazon is only $24.99. I don’t think it is possible for you to find a spotlight anywhere that will give you as much for such a small price. In general, spotlights are not expensive but this one definitely will give you the best bang for your buck! Remember the spotlight gives definition to your presentation as it directs the thoughts of the congregation to the place where you intend them to go. 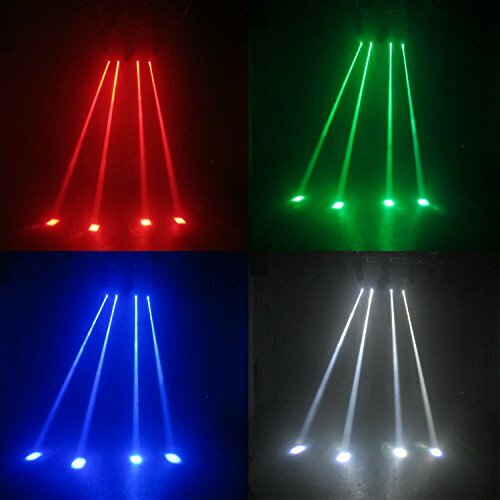 Spot Lights with high power 10W LED bead including 4 colour (Red, Green, Blue, White). Made from high quality materials and built to last for up to 10000 hours. 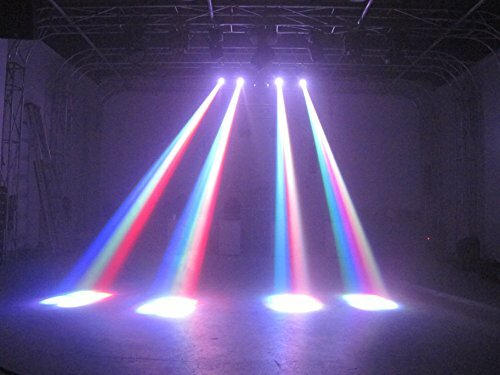 4 Control Mode: DMX 512, Master Slave, Sound Activated and Auto; 3 Lighting Effect: RGBW mixed color, strobe and dimming. Integrated Design with the whole body ABS that give you temperature protection, safe and reliable. Beam angle is adjustable. Pin Spotlight with mini size and comes with brackets, convenient to carry. You can place directly on the floor or hang on truss. 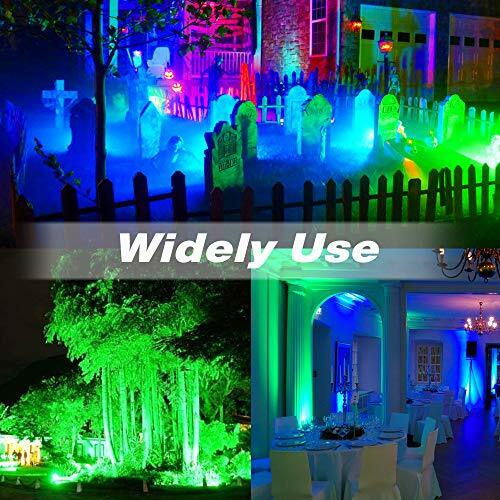 Widely Used stage lights ideal for Halloween and Christmas parties, family night, Bar, dance hall, garden, wedding. Under the effects, you could have a great fun with your friends. 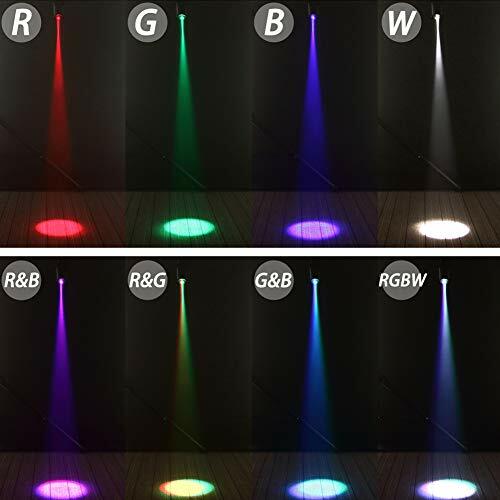 Spotlights with high power: 10W LED bead including 4 colors (Red, Green, Blue, White). 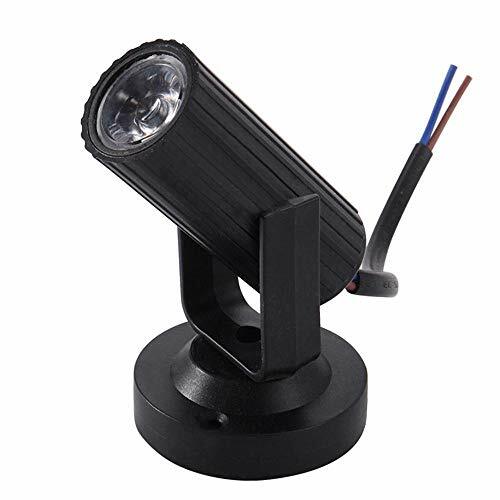 The U`King Pinspot Light with 10W LED RGBW Beam Spotlight is made from high-quality materials. Durable castings protect them from dust and sand so that they are ideal for use anywhere, including outdoors. They are built to last for up to 10,000 hours. They have a built-in cooling fan that offers an extended operational life due to their heat dissipation design. 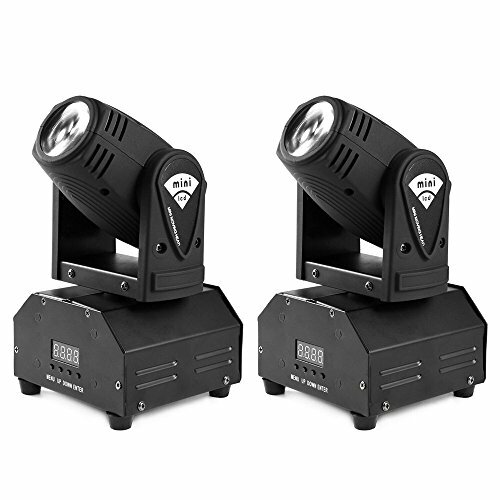 These spotlights have 4 Control Mode: DMX 512, master-slave, sound activated and auto. 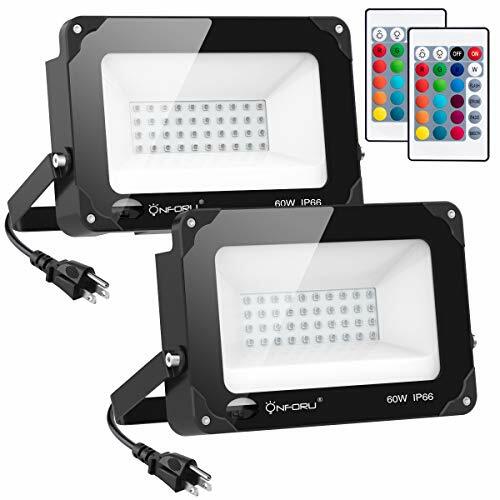 They produce a 3 Lighting Effect: RGBW mixed color, strobe, and dimming. Integrated design with the whole body provides for maximum efficiency. ABS that give you temperature protection are safe and reliable. Pin spotlight with mini size weighs only one pound. Its small size allows it to achieve exceptionally fast and agile movements. It comes with brackets, convenient to carry. You can place directly on the floor or hang on a truss. These widely used stage lights are ideal for your church’s many and varied productions. This spotlight is durable and safe with strict quality testing and controls. It is a 1-Watt single color beam LED spotlight without the variety of the earlier mentioned spotlights. However, though it is a single color, for the price it can add depth and meaning to your church stage. It is meant for indoor use only, so don’t plan on using it outdoors. With that said, it is about the best budget spotlight on the market today. It is made from high-quality materials and built to last for up to 10,000 hours. Womdee strives to provide a top quality spotlight to their customers. 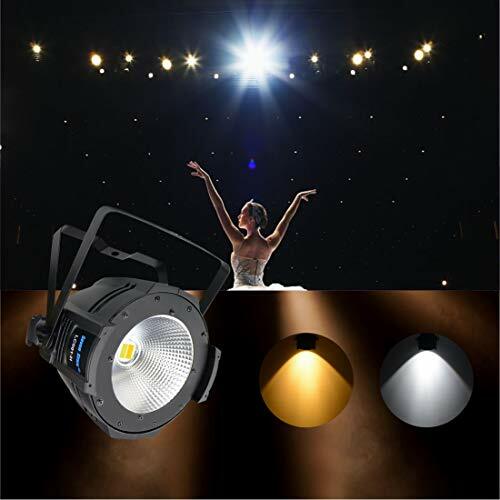 This pro stage light adopts bright LED, has little power consumption, low heat, and long lifespan, excellent stability overall. The portable mini size makes it lightweight and flexible in operation. The supermini size makes for convenient carrying when you have off sight ministry engagements. 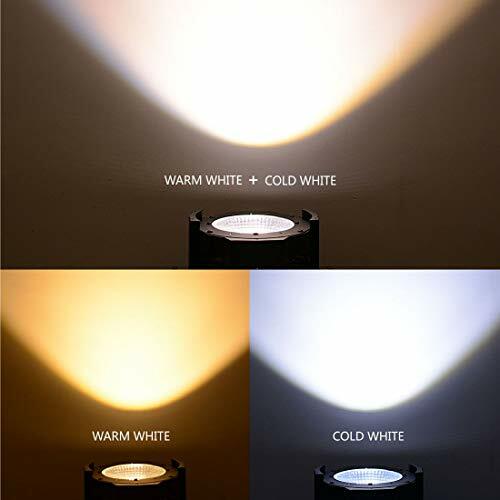 It features soft luminescence, stability and continuous light which is a perfect lighting source. It is wiring connected, easy to install and use. 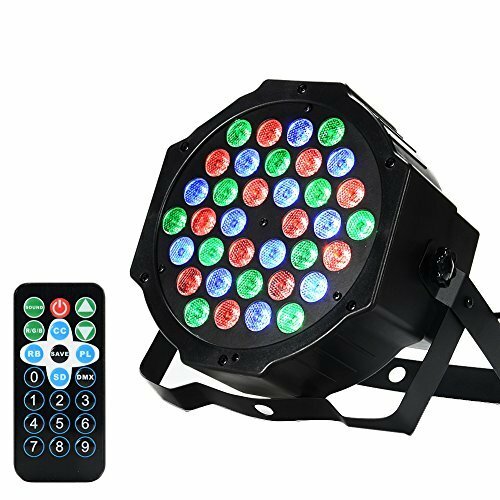 The magic stage light is widely adaptable and perfect for indoor DJ, disco, car, party light, home, children’s room, Christmas party, celebrations, etc. Cyc lights throw a sheet of light. Traditionally with a “J” shaped reflector, they can sit on the floor or hang fairly close to the backdrop and throw an even sheet of light up and down. Cyc (Cyclorama) lights throw a sheet of light and color. The bottom of the J is for the short throw and the top part is for the longer throw. The main purpose is to get even, full cyc coverage. 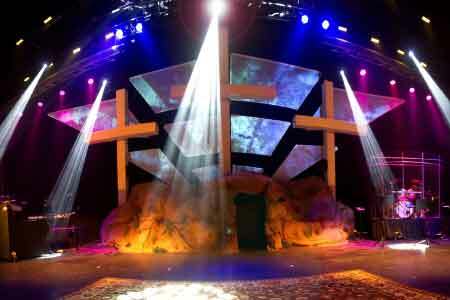 A cyc light may or may not be important for your church stage. They belong to an advanced setup for a large stage. 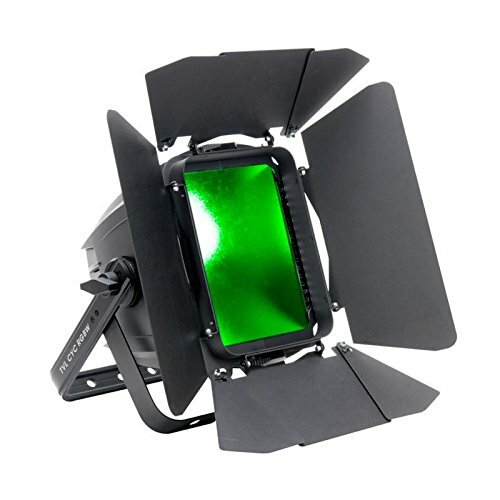 However, if you choose to use them, do look at the Elation TVL CYC RGBW COB Cyclorama LED Light by Elation Professional. 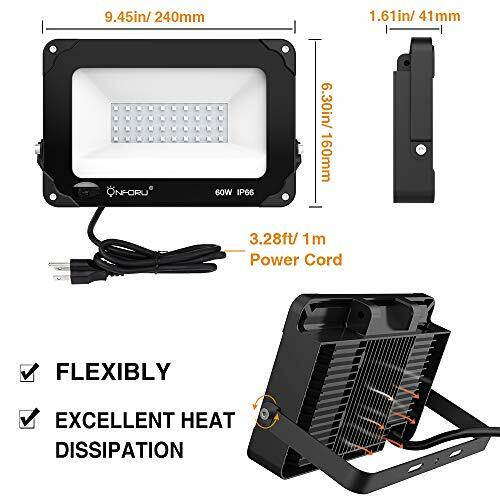 It is 150W COB RGBW LED and it is the best overall cyc light that you will find. It produces a 90-degree X113 degree elliptical beam angle. It contains 64 internal color macros. The unit has smooth color mixing and16 bit dimming. This unit produces a HARO edged sheet of light. The closer they are together, the more even your wash will be. Dark recessive colors will be strong, but you must include a heat shield on your gel if you are using the darkest of colors. Order a silk, frost gel with your lights for a softer edge to the color that they produce. Primary colored frost gels work well with these lights. To determine the right amount of distance in your cyc. Put one unit on the floor and keep moving it away until you have covered the entire cyc. Then bring down the line set that is right above the middle of the unit and there you have the perfect line set to hang them on. The closer together the cells are to each other, the better color mixing you will get. If you are going to use 4 colors, consider the stacking mode rather than the linear mode. Use two safety cables to handle the weight of the unit. LED units make the color mixing simpler than with old school type lighting units. For smooth coverage, trial and error is the key. Try an experiment on the floor to determine the perfect distance between units for the most uniform coverage. 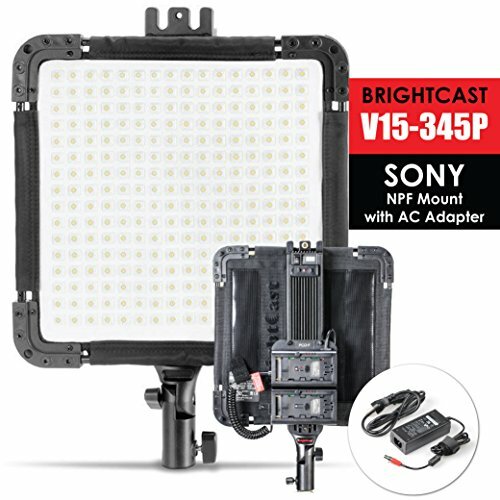 Much less expensive and more practical for your church stage, the Kamerar Bright Cast V15-345P has much to offer for around 1/3 of the price of the Elation lights. 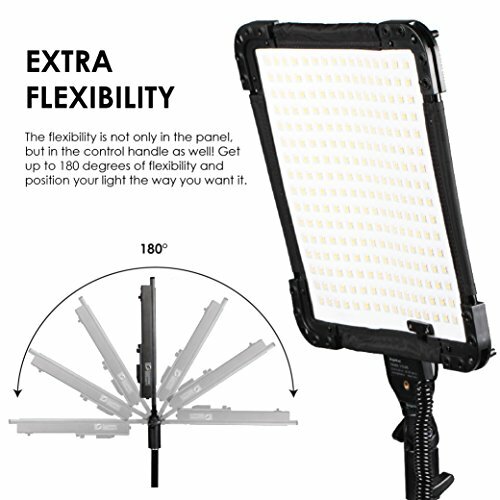 FLEXIBLE, YET RUGGED: Bend your LED Panel to shape it to your lighting needs with the Kamerar BrightCast V15-345P. 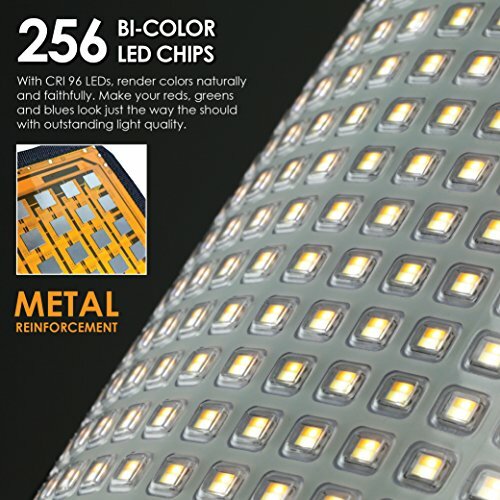 Each LED chip is reinforced with a metal backing plate for improved durability and stability. 256 BI-COLOR LED CHIPS: With CRI>96 LEDs, render colors naturally and faithfully. Make your reds, greens and blues look just the way they should with outstanding light quality. COMPLETE COLOR CONTROL: Each LED chip features both daylight and tungsten LEDs so you can set it anywhere between 3200K to 5600K. V mount powering is available. It is flexible, yet rugged. You can bend your LED panel to shape it to your lighting needs with the Kamerar Bright Cast V15-345P. It has improved durability and stability because each LED chip is reinforced with a metal backing plate. It has 256 Bi-Color LED chips with CRI>96 LEDs. This means it renders colors naturally and faithfully. It provides outstanding light quality with reds, greens, and blues displaying properly and richly. 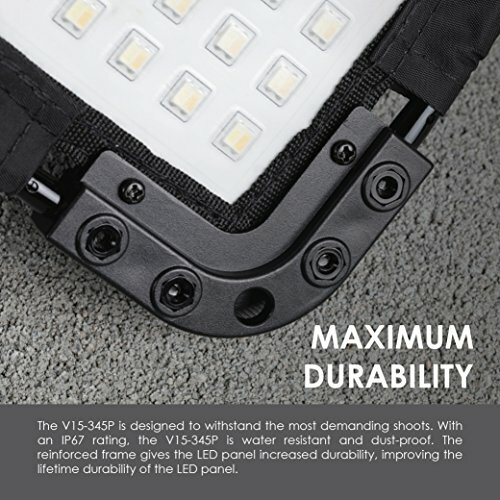 With an IP67 rating, the LED panel is water resistant, drop proof, and dust proof. This provides for excellent durability. 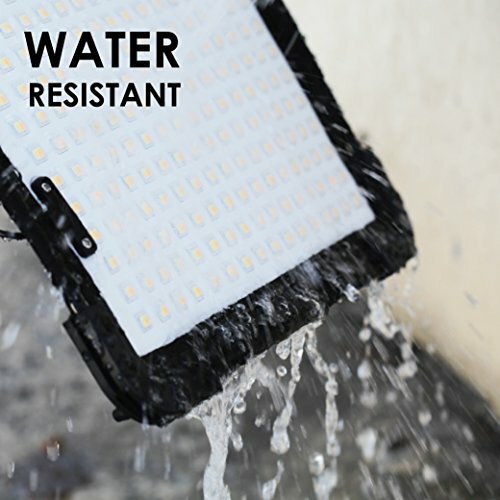 Though not designed for underwater use, the LED panel is protected against rain, splashing and accidental submersion in 1m of water. The unit has complete color control. Each LED chip features both daylight and lungsten LEDs so you can set it anywhere between 3200K to 5600K. It weighs only 5.8 pounds. It is fairly small, 16 X 3.,2 X 12 inches, and you can purchase a carrying case for it if needed. You can always start with one and then add more as you experiment with different lighting set-ups for your church stage. You can do anything you want with this fine cyc light! Budget Cyc lights are hard to come by but the LED Three Butterfly effect Light by Emily Lighting could give a limited effect on your stage. They are 3 separate LED lights that cast a “butterfly” of light all over your stage. They are priced at $148.00 each. 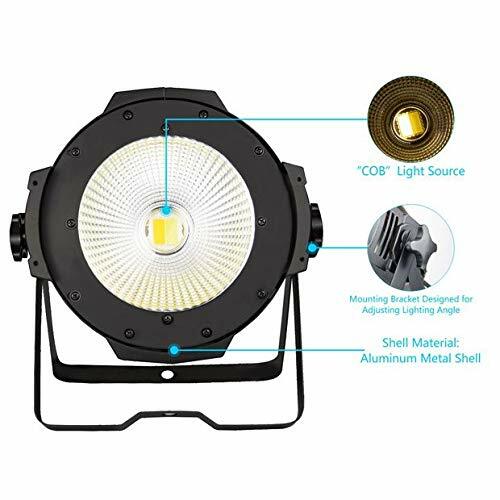 However, the light that I reviewed in “Best Bang for the Buck” cyc lights above could very well also be your best choice for a “Budget” cyc light. 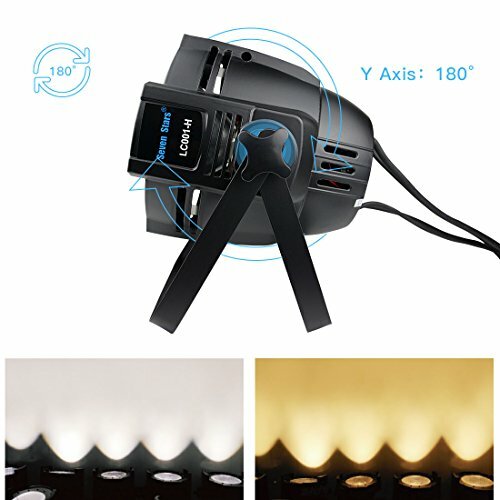 Therefore, I am repeating that recommendation as the “Best Budget Cyc Lights”. 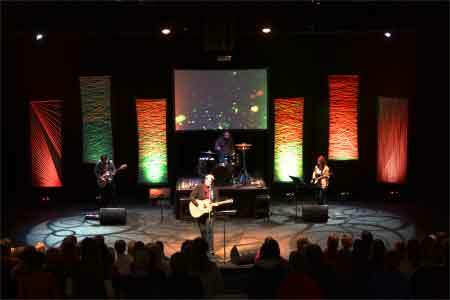 Wash lights provide a general “fill” of light and color evenly across the stage. They are also known as Fill lights. 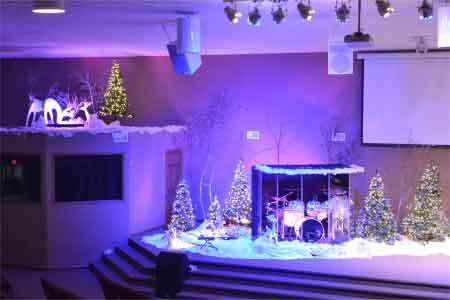 They provide an atmosphere for your church stage and they set the mood there. You want that warm, loving atmosphere that helps worshippers forget their outside world issues. Wash lights may be purchased separately, (approximately $24.00 and up) or in a 4 pack (approximately $179.99). I found the LED Wash YeeSite 36W Light Bar to be the best overall wash lights for your church stage. Additionally, they provide the most value for the money and they have the most options for the price so they are also my pick for the best bang for the buck. 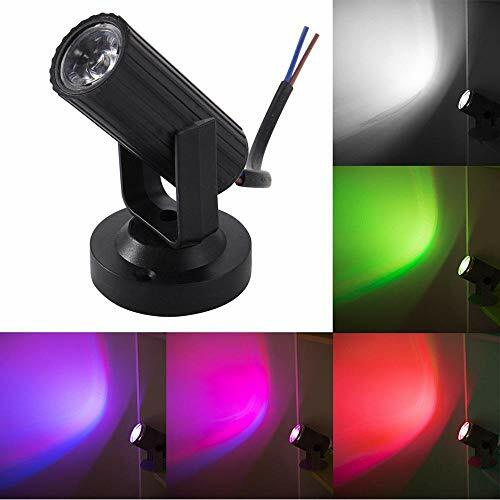 Ultra Bright RGB LED Wash Lights - LED wall washer light bar provides bright and vivid color in wide spread without RGB shadows. No Noise - Wash light bar made of aluminum housing, the aluminum cooling fins allow for cooling without a fan, which means "silent" operation. Standard Plug - Easy daisy-chaining of power and DMX with standard NEMA connectors and 3-pin DMX connectors. Operational modes - Auto run, color changing, sound active, color fade, static color, DMX-512 mode, and master slave mode. Wide Range of Use - Great stage light bar for DJ party lights, stage lighting, Christmas, Halloween, uplights for wedding, church, hotel, gallery. The lights are ultra-bright with 12 LED wash lights. The bar is made of aluminum housing which cools without needing a fan. This provides silent operation. They may be set far downstage on the floor for uplighting. 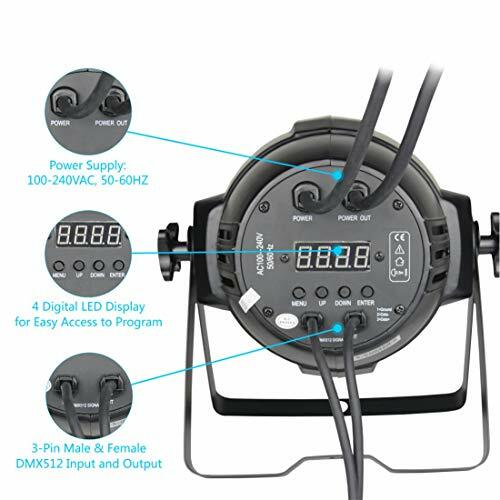 On the back is a 4 button LED DMX-512 menu so that you can customize your set up just the way that you like it. That includes changing your set up for different types of ministry. 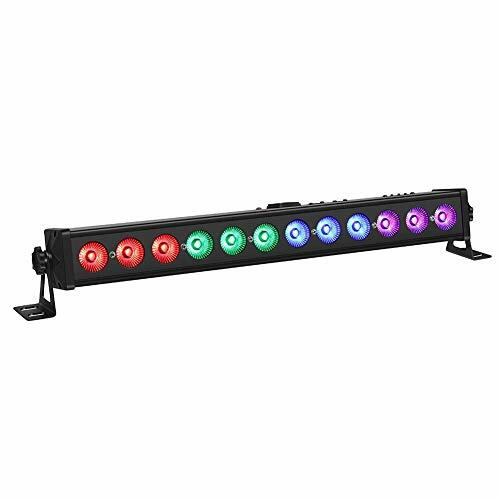 This light bar has seven operational modes, to accommodate your onstage ministry, whatever it may be: auto, color changing mode, sound activated, color fade, static color, master-slave mode, DMX-513 mode. It is easy to operate, so your volunteers need not be professional lighting experts. It is an atmosphere that you are after this light bar certainly can give you what you need to produce the right atmosphere. 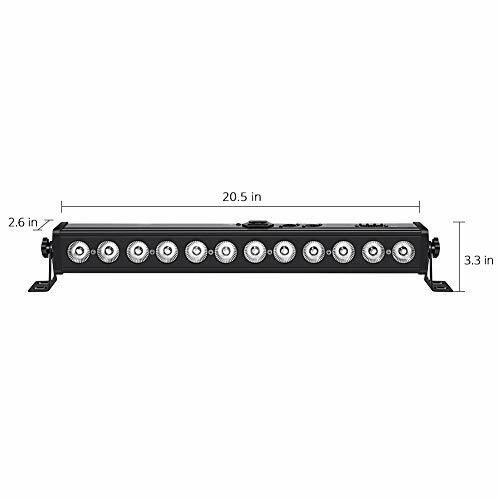 This light bar offers many options and is adaptable for your worship team, an important evangelistic drama or a Christmas musical. If you choose the bar you can add more wash to it by adding a few individual floor wash lights later. If your church has a strict budget for lighting, you may want to use a couple of LaluceNatz Par Lights with RGB Lighting. You might start with two of them and see how that works for the stage or platform at your church. You could try placing both of them together downstage center or you could move each away from the center for a few feet. 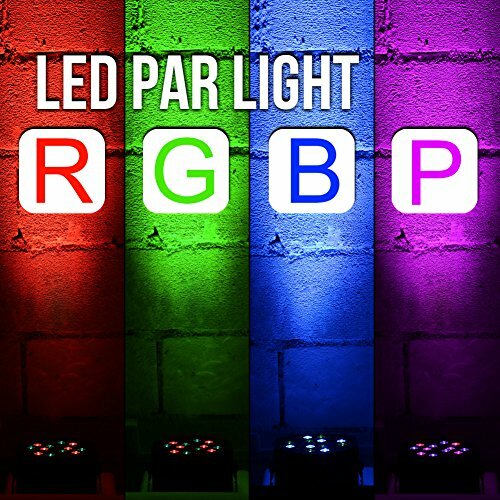 led par light with 18x3W LEDs including 6 x red, 6 x green, 6 x blue. 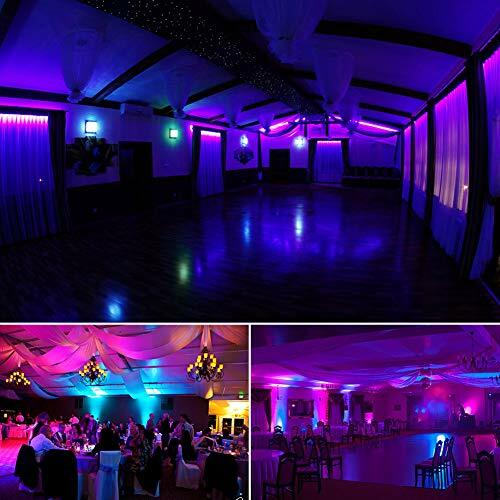 Club lighting stunning color mixing effects like rosy, cyan, purple or any colors you want. 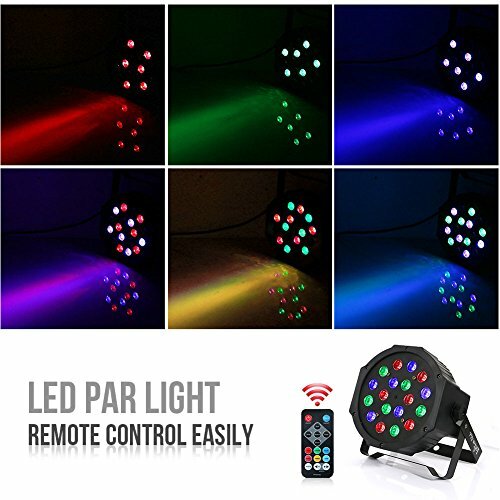 Bright led par can lights are easily controlled by IR remote (2pcs included) and DMX512 controller. 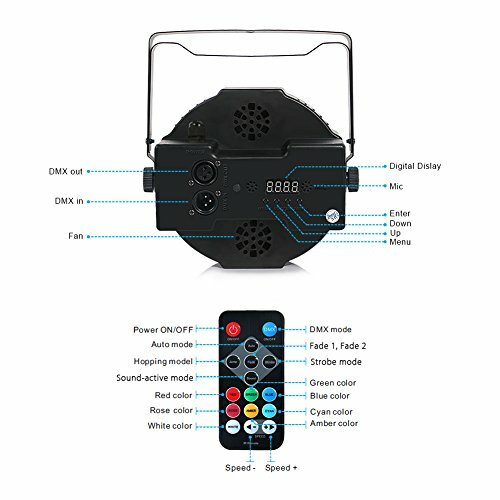 Par led dj light support multiple modes option: Static Color / Hopping / Fade / Auto Program / Sound Activated / Master-Slave / DMX. 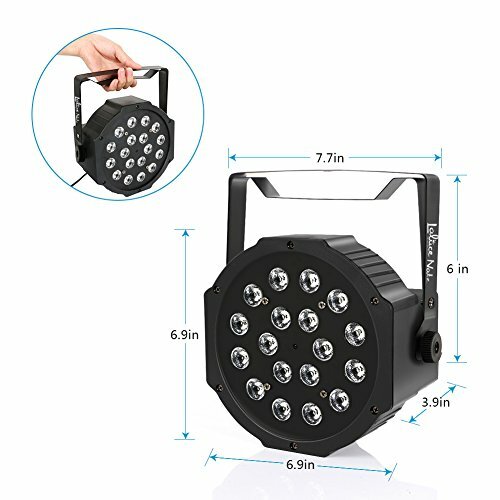 Great uplight for wedding and church, also perfect for mobile dj gigs, Xmas, Christmas party, bar, club and musical live show. 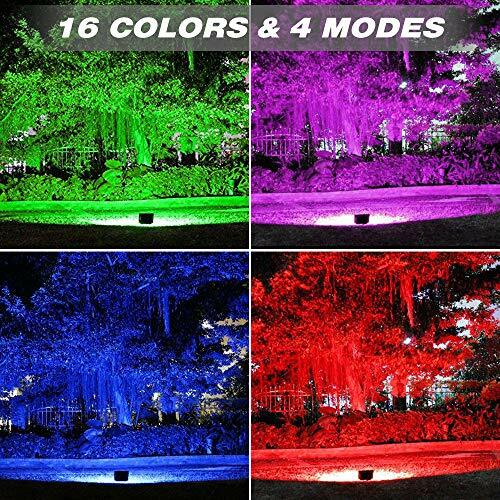 These are LED par lights with 18x3W LEDs including six red, six green and six blue. 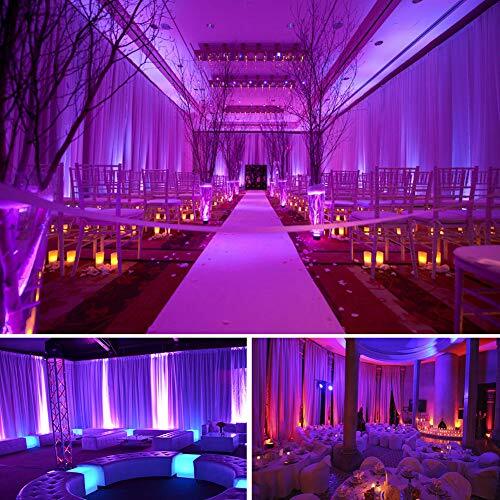 They provide lighting with great color mixing effects such as rosy, cyan, purple or any combination of colors that you may want. 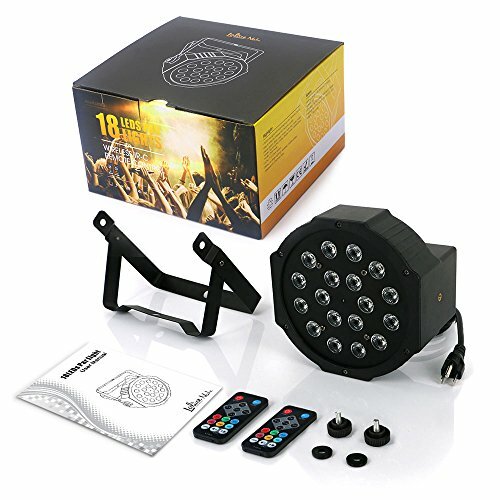 Bright LED par can lights are easily controlled by IR remote (2 pcs included) and DMX512 controller. Par LED lights will support multiple modes option: static color, hopping, fade, auto program, sound activated, master-slave, DMX. They are great up lights for a church, and they are also perfect for mobile needs that your church probably has from time to time. 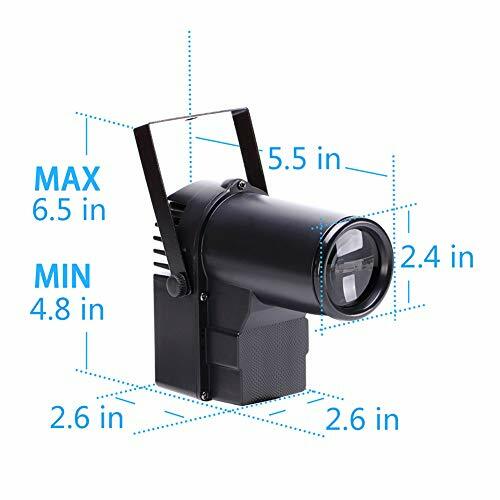 People have said that they give a fantastic amount of light for their size and that they are the perfect wash lights for their church’s stage. Beam lights produce a straight shaft of light, like the headlights on your car. 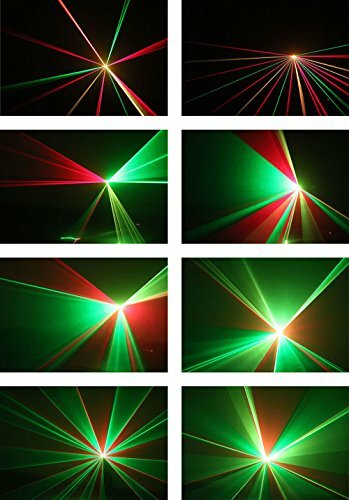 Beam lights are also spotlights and come in a variety of styles. 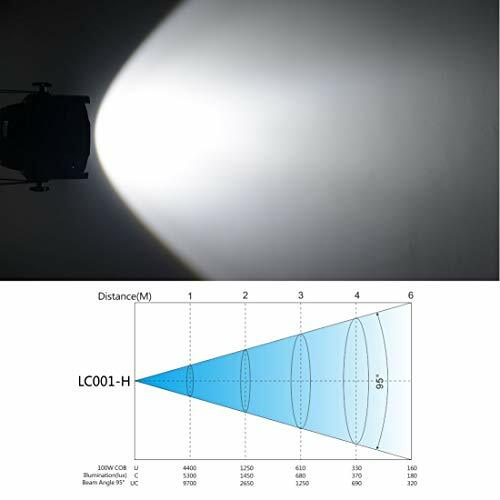 Typically, the beam of a spotlight is a bit broader than that of a beam light. Otherwise, they are pretty much the same. 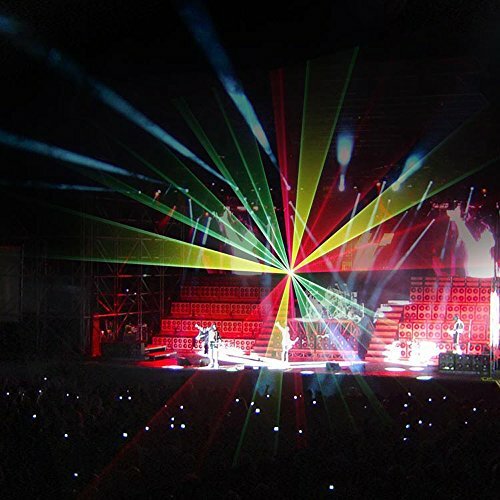 Beam lights, like spotlights, are lamps that project a narrow, intense beam of light directly on to a place or person, especially a performer on stage. They bring attention or drama where it is needed, especially when a single performer among many needs to be showcased. Also, like Spotlights, beam lights make a point. …literally and in context with whatever/whoever is being highlighted. They focus attention specifically where it is needed in order to make a point or single out someone/something on the stage. 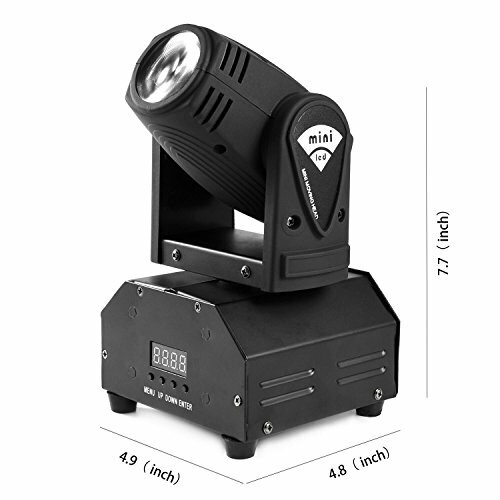 With that in mind, consider the RGBW Stage Light Mini Moving Beams by MFL. EFFECT: These led stage spotlights can build an impressive matrix by its multiple fixtures, color changing with the included 4-pack of gels. Suits small KTV, bar, disco, weddings and family parties but not sutiable for a very big place. 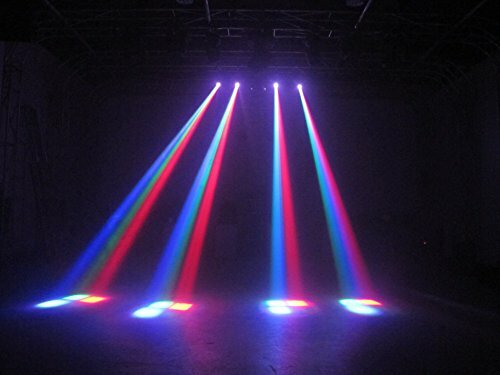 Moving Head: These dj lights are very sensitive to voice under sound controlling. 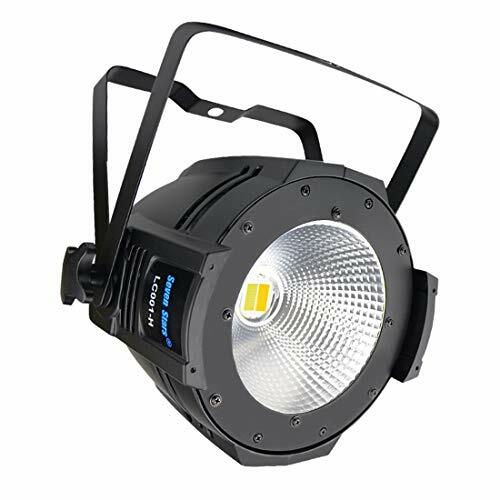 Fast and precise PAN(540) / TILT(270) movement and produces outstanding Beam Effects with a high quality light output. QUALITY: MFL. Manufactured, 1 year repair warranty guarantee. 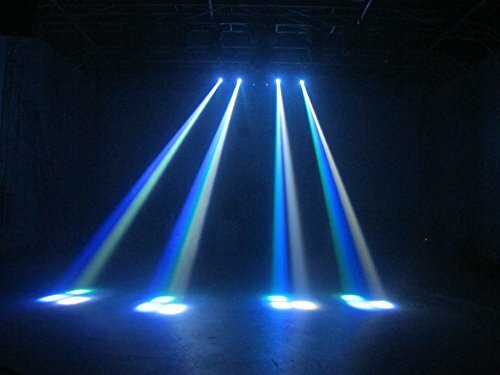 Once any issue of this laser stage lighting please feel free to contact us. 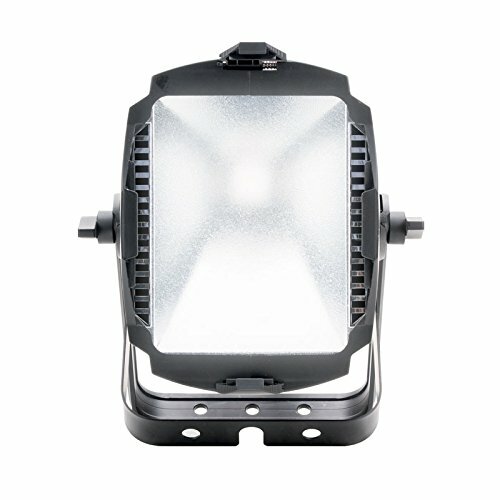 This MFL moving head light produces a compact aerial effect with a razor-sharp beam and super-smooth LED fading with built-in dimming curves in it. These LED Spotlights can build an impressive matrix by its multiple fixtures, color changing with the included 4 pack of gels. It suits a small KTV, and it is ok for weddings and church services not suitable for a very large space. These lights are very sensitive to voice under sound controlling. They provide fast and precise PAN (540) / TILT (270) movement. 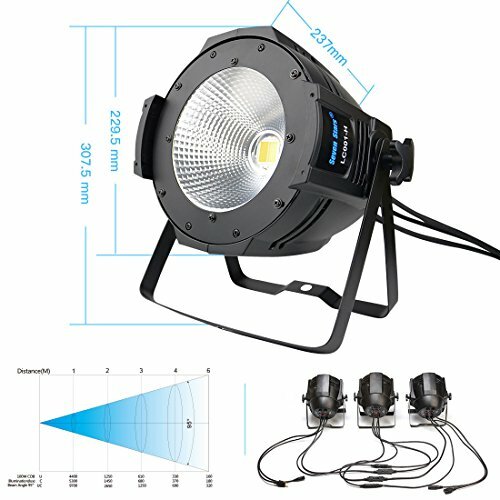 Produces outstanding beam effects with high-quality light output. 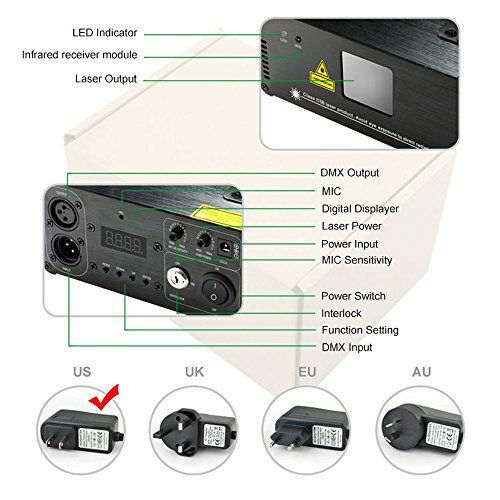 Control modes are auto, DMX512, sound activated, master-slave, AC 100-240V, 50-60 HZ. There is no remote included. Quality MFL manufactured, 1-year repair warranty guarantee is included. 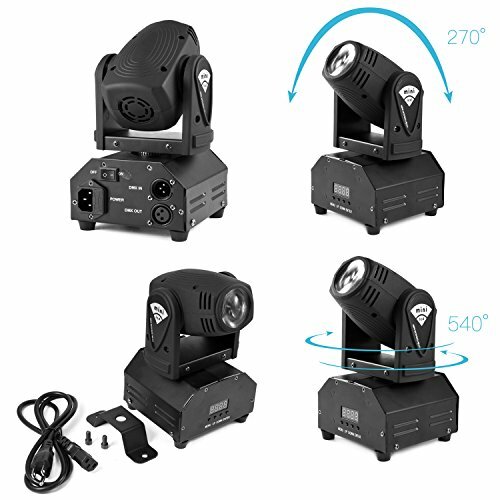 The Sumger Professional DMX512 LED Stage Light is a sweet little beam light for the price. In general, spotlights are not expensive but this one definitely will give you the best bang for your buck! Remember the spotlight gives definition to your presentation as it directs the thoughts of the congregation to the place where you intend them to go. It will pinpoint selective persons or objects on your church stage with fantastic accuracy. 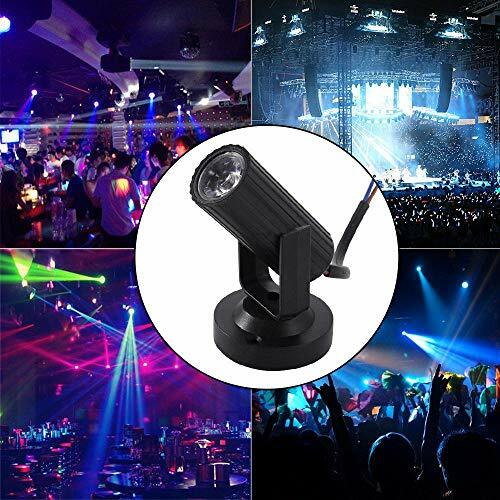 It is an excellent first choice for DMX lighting. Basic and simple to operate, it will give you the desired effect in a beam light. 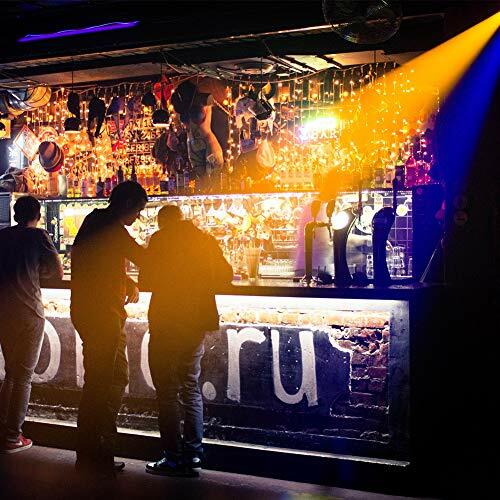 Using for , DJs, Bands, Bars, Pubs, Clubs, Roller skating rinks, KTV, Family party, Birthday, celebration, Wedding, Festival, Mall, Store, Shop and other appointed place.ect. The colors are a red, green, yellow effect beam. Beam effective modes of operation are: auto, remote control, and sound activated. 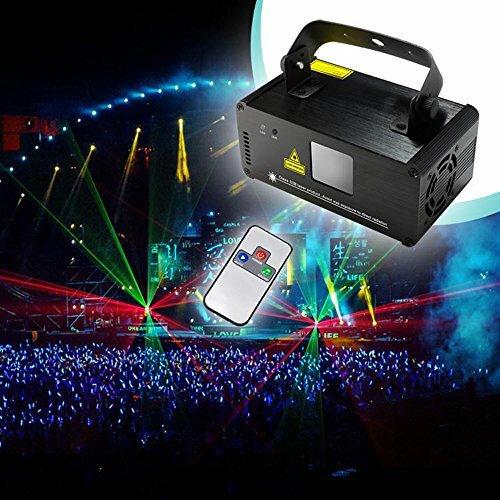 It is a professional laser light with DMX control. The product does work with Chauvet Obey 70 controller. 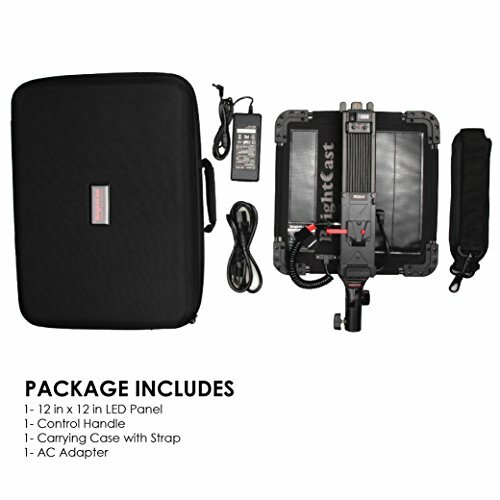 It does not work with Chauvet Xpress 512 running Show Xpress software. This product is well made, though simple. A reviewer said it has the fastest moving heads he had ever seen. It has proven to be incredibly responsive. They are a super value for the price point. 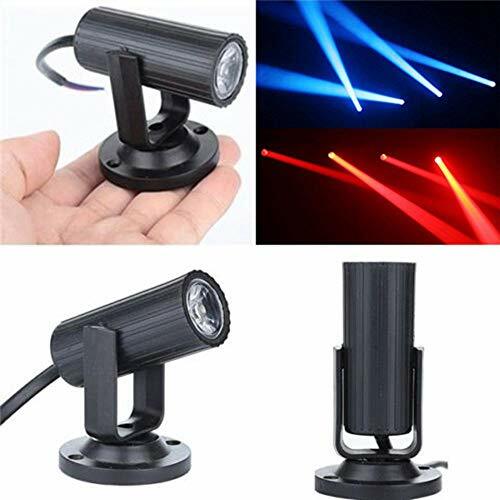 They are the best beam lights for newbies. As with other lighting, you can start with one and see if it produces the effect that you want for your church stage lighting. Two would give more depth and color to your stage with one placed on stage right and one placed on stage left. 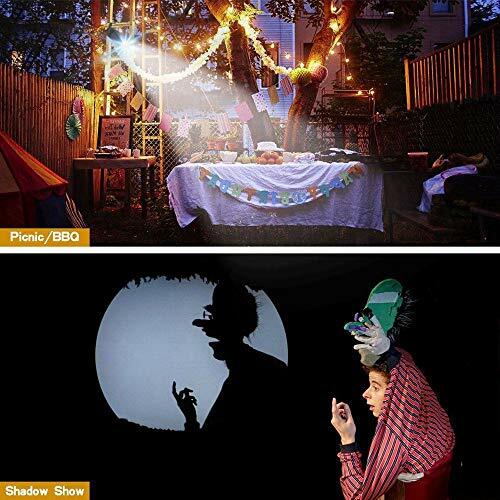 Place a third downstage center and you have the makings of a dramatic effect accenting performers and/or objects. Since spotlights and beam lights are basically the same, I am also naming the Womdee Pinspot Light as the best budget beam light. Made by Womdee, they are quite a find! Scroll back up to refresh your memory about this sweet gem. The industry standard is now LED lighting and it is timeless. A LED system is by far less expensive than one using traditional fixtures. The lights are cool running and will save money on electricity year after year. An LED system is available for all sizes and budgets. Modest lighting setup can be built for well under $1,000. Modern fixtures, sound-activated programs, and app-based controls will enable volunteers to get involved in lighting design even without prior experience. You won’t need electrical designers and technicians to get your system up and running…yet other savings! 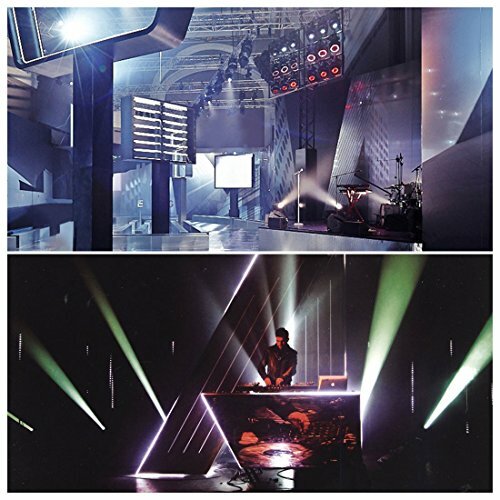 This information will prove useful to you when considering stage lighting for your church. Do search the internet until you find exactly what you are looking for. Obviously, there is a lot to learn and your search will be fun and educational. How rewarding and blessed the people in your congregation will be when their worship experience is enhanced by the beautiful stage lighting that you provide.